Google Drive has proved itself to be an educational tool of high potential for us in education. 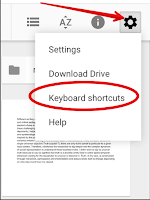 From storing files and docs in the cloud to providing easy yet powerful tools to create presentations, documents, sheets and drawings, Google Drive is definitely a robust educational Swiss Knife. We have been sharing a lot of tips, tricks and tools to help you make the best of your Drive and you can access all of these resources from this page. 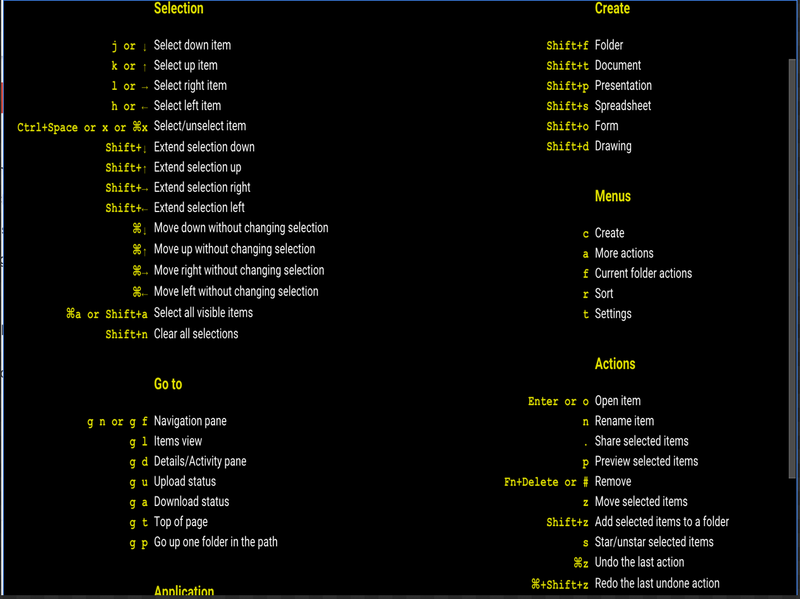 Today, we are sharing with you this excellent list of keyboard shortcuts for Google Drive on the web. 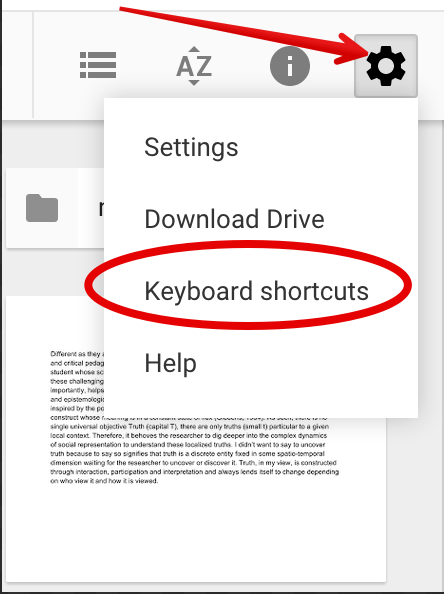 You can also access it from Google Drive Help page.To display the keyboard shortcut list in Google Drive, press Ctrl + / (Chrome OS, Windows) or ⌘ + / (Mac).